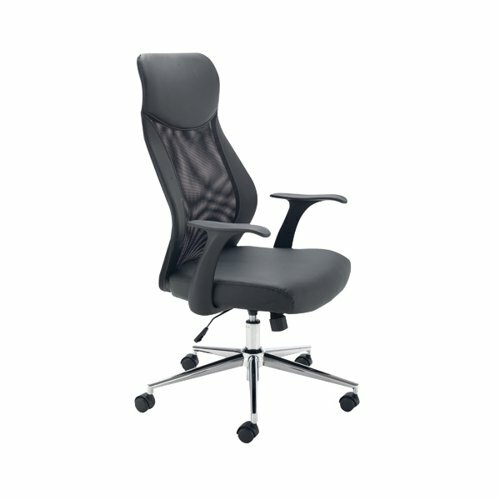 This high back operator chair with a mesh back and adjustable seat height provides an ideal option for all day comfort at your desk. The leather look PU seat is easy to keep clean. The seat is height adjustable and has a lock tilt mechanism with tilt tension control to provide the optimum seating position for the user. The chair has a recommended usage time of 8 hours and a maximum sitter weight of 18 stone. Supplied complete with fixed arms and a chrome base with castors.